If you are an overweight or obese adult, you probably eat too much i.e. more than you actually need. As a matter of fact, your body needs a certain amount of calories to keep itself functional and active, and if you eat or drink more than that, you will likely gain weight. Likewise, if you consume fewer calories than you expend, you will lose weight. So, the question is, what number of calories you actually need to consume daily to lose weight? If you are one of those billions around the globe who are trying their best to get or maintain an ideal body weight and minimize extra body fat, this is the first and the most vital aspect you should consider. Your recommended per day calorie intake primarily depends on your age. If you are an adult man with average height and built, you need to take 2,500 calories per day. Similarly, if you a woman with average weight and height, you will need to take 2,000 calories daily. Do remember; however, that these calories should come from cumulative sources i.e. you should eat a healthy, balanced diet consisting of foods from all major groups e.g. proteins, carbohydrates, fats, nutrients and minerals. If you are eager to lose weight, a good rule of thumb is that a caloric deficit of 3,500 calories leads to a weight loss of approximately one pound. Therefore, you could begin by taking five hundred less calories day, providing you are taking a healthy, well-balanced diet and performing your physical activity / exercises regularly. Simply stating, to get rid of one pound per week, you need to reduce your calories by 500 per day. There are two simple ways of doing this; eat / drink 250 lesser calories daily and burn additional 250 calories by performing physical exercise (e.g. walking or jogging for 2 to 3 miles daily). Another way to cut back on calories is to watch your portion sizes. Go for relatively smaller, leaner, pieces of meats, perhaps. Eat as much vegetables as possible as they are low in calories but contain higher quantities of vitamins and nutrients) and avoid deep fried food (cheese burgers, fried chicken, French fries etc.). Doing these easy things will have a dynamic impact on your weight. It’s important to remember that you don't have to starve yourself to lower your calorie consumption. As mentioned above, just take smaller portions of the foods you currently enjoy. If you need to burn those extra calories, again, you do not necessarily need to run miles a day or join a fitness club. Just remember to use the stairs, or park your car further away from your workplace when going to work. are key to losing weight on your own. By doing simple mathematics and implementing your diet and exercise plan accordingly, you can successfully lose your weight and maintain it for the long term. Often though, food habits die hard and your cravings for junk food (which often contain addictive additives and 'enhancers') can be very strong and can pose a real threat to your resolve to lose weight. Many good intentions and diet plans have been derailed because of the need for superhuman willpower to abstain when it would have been better to cave in occasionally to your taste buds' yearnings! The Kalahari Desert in southern Africa is a harsh environment that is home to the Bushmen people. It is always a struggle to stay alive in conditions of temperature extremes (blistering hot by day, freezing at night), scant water, and scarcity of game that are found in this challenging region. 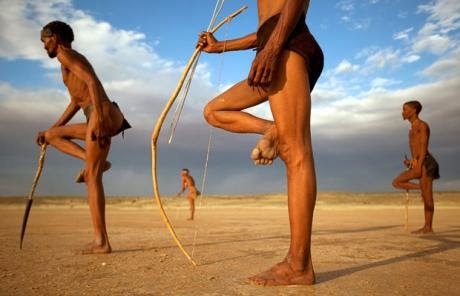 Hunger is often a common condition with these people, but they discovered a way to suppress the pangs when on a hunting expedition, and this was to chew on the pulp from the stems of the Hoodia plant. There are many things you can do to look after your teeth. Regular brushing and flossing can keep them healthy and allow you to enjoy foods that need chewing as well as cold drinks and ice cream or hot drinks. But while oral health is important sometimes you may need a bit more to keep your teeth looking good such as making it look whiter. Why? The practice of drinking coffee and/or wine that is now part of socialising plus other factors can actually discolour your teeth faster than if you never ingested these foods. 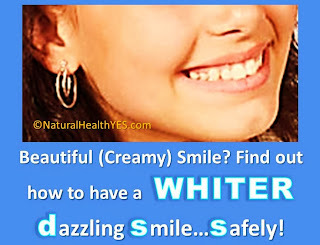 And a whiter smile has (in many mindsets) been associated with better health although this is not necessarily true. This is why you may want to consider Non-Peroxide teeth whitening kits for cosmetic reasons (especially if you are in the public eye or wish to look good and 'healthier' in photo-shoots). Much has been said about the dangers of certain home Teeth Whitening Australia kits. There have been talks of increased cancer risk, damage to teeth and gums and other side effects. However it is worth knowing more about how these kits work and especially how to use them safely. 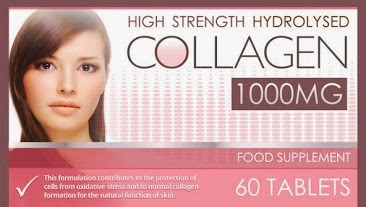 Collagen, for firm, beautiful, wrinkle-free, supple skin! "Hydrolyzed Collagen is a form of collagen that is also known as collagen hydrolysate, collagen peptide and gelatin which is derived from bovine bone and cartilage through a hydrolysis process. Benefits of hydrolyzed collagen include:"
- Avoiding the 'Sad Sags' as you age... (doable)! Green Coffee beans are simply coffee beans that have not been roasted, hence the green appearance in their natural, raw state. When coffee beans are roasted, recognisable for the distinctive taste and colour of our daily cup of coffee, they lose a naturally occurring antioxidant-rich compound called chlorogenic acid. Their effects were featured on a famous doctor's TV show which highlighted these findings as it is believed by diet and health professionals that chlorogenic acid can significantly give a boost to weight loss, (some studies have shown up to double the weight lost when compared with dieters not taking any supplement) which is why green coffee beans are now found in so many weight loss products. industry can sometimes make the difference between success and failure and even a good idea needs to be promoted. The same can be said about the Body Clock Diet, which is one of the diets that try to look beyond food in order to link the eating process with the greater picture of body processes. There is, of course, a two-week eating plan that you must follow in order to lose weight. Staying true to the body rhythms, each day features three meals and two snacks that are rich in vegetables and fruits. The eating plan follows a general protein-rich, low-fat pattern, which is nothing new. The best part of the diet, however, is tying everything in with the rest of the body. For instance, the author argues that eating grains and cereals should be done in the morning in order to match the effect of insulin on the brain, while dinner should consist of a light blend low-glycemic carbs and lean protein. According to estimates, this diet should allow you to lose up to two pounds per week, which is the average weight loss rate. The book explaining this diet comes with recipes and general eating advice and a comprehensive and no-nonsense explanation of how the body works, what impact the daily rhythm has on weight and how to work with the body instead of against it. This is a good eating plan that doesn’t come with any strange ideas about magic ingredients that can make anybody lose weight in a flash. From the star-studded hills located near Hollywood comes a diet rich in fruit and lacking sound ideas about weight loss. Really, if weight loss was so simple, there would be no problem for anybody to drop as many pounds as desired just by eating fruit. Nevertheless, a fruit-based diet sounds good to some people and so one may run into the happy statements of those who managed to lose weight by sticking to this eating plan. The diet itself is very simple. It claims that papaya softens the fat, pineapple burns it off and watermelon washes it out of the body. Unfortunately, this concept hasn’t been proved yet in a scientifically sound manner. While grapefruit has a positive effect on the sugar absorption system, it doesn’t burn fat outright. The only thing that burns fat is effort. According to actress founder of the Beverly Hills Diet, people can lose 10 to 15 pounds in 35 days. 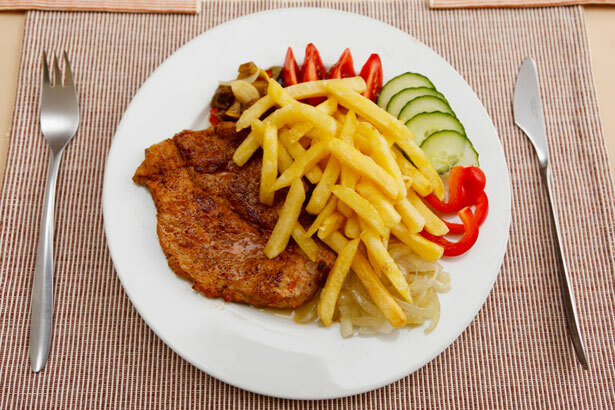 Since the founder claims that eating different types of food together is one of the causes behind weight loss, the diet focuses on eating a single type of food for a whole day. On one day you eat nothing but grapes, while the next day it’s just melons for you, etc. The problem with this diet is that the eating plan can be boring. The average dieter has every chance to get bored and start dreading the coming of the next day. This is more of a quick fix type of diet instead of a long-term eating plan and should not be pursued by more than one month. Fruits alone cannot provide your body with all the nutrients, minerals and vitamins it needs every day. Also restricting your food to just fruit will leave you exposed to malnutrition and diseases. The fast loss of weight usually means that some of that weight will be muscle mass and water, which means that some of the fat will stay in place. It also means that if you start gaining back weight, you will simply be replacing muscle mass with fat. In the long run this will do you more harm than good. And, for the final words, eating nothing but fruit will keep you in a near constant state of loose bowel motions. All in all, this is a questionable diet. A lack of or poor access to nutrients, crucial vitamins and minerals due to a lop-sided eating plan and a lot of water and muscle mass loss is definitely not a good way to lose weight. What Kind of Foods should You Eat on Fasting Days? The wonderful benefit which comes with the 5:2 diet is that in theory you will not be fasting on the fasting days. Indeed, you could actually have a large burger and endless cups of black coffee on a calorie restricted day and still be within your calorie allowance. Clearly this would not be good for you and instead should be looking at using common sense regarding foods you are consuming on your fasting day to make balanced and healthy choices. Water is the perfect slim line filler, either drank on its own to temporarily take the edge off a hunger pang or, more particularly, incorporated within food to increase satiety (the feeling of fullness which is gained from eating food). Chunky soups plus lots of fruit and veg can work particularly well on a fast day because they’ll help to make your stomach feel full. Foods such as fruit and veg as these foods are bulky and low in calories, take up plenty of room on your plate (a psychological boost). Green leafy vegetables, such as spinach, watercress, rocket, broccoli and cabbage are particularly low in calories, as are berries, such as strawberries, raspberries, blackcurrants and redcurrants. Tomatoes, peppers, orange-fleshed melons and butternut squash join the low-calorie corner. Foods containing protein is also advisable as when protein is released into the gut, a hormone known as PYY is produced, which is believed to decrease hunger. So upping the amount of protein in the diet will increase the body’s own supply of PYY, helping to reduce hunger and perhaps aiding in weight loss, foods such as soy beans, chicken, tuna, squash and pumpkin seeds are all high sources of this nutrient. Airy foods take up more space on our plate (psychologically, it feels like you’re being presented with more food). For example, if you really must have a desert, why not try a small pot of whipped mousse which can have fewer than 80 calories. Protein-rich foods are particularly good at inducing that full feeling. It is possible that they stimulate the release of hunger-controlling hormones in the gut. The protein in eggs is a good food source for filling you up. Porridge is a great choice for keeping you full for several hours as they are a wholegrain which is now proven to keeping you fuller for longer. To keep calories down make porridge with water or skimmed milk. Wholegrain versions of breakfast cereals, breads, pasta, rice and noodles take longer to chew and are more satisfying, as the fibre they contain provides bulk but no calories. Fibre also has a slowing effect on the passage of food through the gut, which has the effect of keeping you fuller for longer. The portion size of bread or pasta you can have on a fast day is to be small, but choosing a brown, not white version can help to make it more filling. Altering rice/pasta for salad leaves is a good alternative to save calories. Focus on whole foods. On average, foods that aren’t highly processed, pre-packaged or high in sugar will tend to be lower GI and keep your blood sugar levels on a more even keel. Building up an accurate picture of what actually constitutes 500 or 600 calories is one of the most educational and interesting aspects of the 5:2 diet. It can help you understand what constitutes a healthy portion and might also give a clue as to why you ended up needing to lose a few pounds in the first place. If you are someone who has tried and failed to lose weight, or you’ve shed extra pounds, only to pile them back on again – this is the diet for you. The 5:2 Day Diet is a brand new, research-based approach to weight loss. This is a simple diet where you will fast for two days per week followed by eating as normal for the additional five. As well as the obvious reason for choosing to diet you can improve your health significantly by cutting risks of type 2 diabetes, heart disease and even some cancers. If someone has tried and failed to lose excess weight or shed the pounds only to pile them back on again, then the 5:2 Fast Diet would be the answer to this recurring common issue. This revolutionary diet teaches how hunger feels and what a normal serving looks like. You will learn to eat more slowly, appreciate smaller amounts and really enjoy your food on both the two restricted days and the five unrestricted days. You will rediscover how much food you actually need. The diet has been designed to follow two restricted days out of seven which will help you to identify what triggers you to over-eat at times. 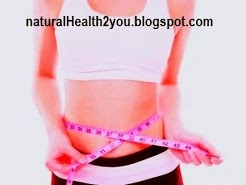 This system shall also lead you away from unhelpful and possibly harmful patterns of eating. Muscle does in-fact target fat and good diets preserve the muscle whilst targeting fat. Even when muscle is resting it will carry on working at burning calories. This proven theory turns the conventional dieting methods completely on its head, offering an alternative approach to losing weight, the 5:2 Day Diet is easy to follow, allowing you to escape the mundane regime of a seven day a week diet - which will ultimately be abandoned due to eventually losing the will along with constantly thinking about what can and can’t be eaten, being perpetually aware that you are on a DIET which is doomed to fail. It is recommended that on the five normal eating days of the week, a healthier approach should be taken towards the food that is eaten although this will occur naturally as you will become conscious of what your body needs in terms of a more nutritionally balanced diet will ensure all essential vitamins, minerals and protein requirements are met. Hunger pangs only last for a short period and with this diet, you will learn that hunger, is only a fleeting 5:2 Plan , a quarter of the recommended daily intake of calories is required. For men this is usually around 600 calories and for women around 500 calories. It will become clear that rather than being on another fad diet this will be referred to as a lifestyle change. Many patients with arthritis typically focus their treatment on medical drugs which are prescribed by doctors. However, many arthritics have ignored the fact that natural and physical measures are some of the best ways to combat the disease. These methods can help you eliminate the irritating symptoms faster. Exercise is one of the easiest ways to minimize the symptoms of arthritis. With the right kind and amount of work out you can generally feel better than your arthritic state. However, you need to do the exercises properly otherwise your arthritis might flare up. There are exercise programs specifically designed for patients with such disease and these programs include the presence of a certified physiotherapist. You can start with range if motion exercises which can help minimize stiffness and pain as well as allow your joints to freely move. You can then do strength training to increase your muscle tone and add protection to your joints. Stretching exercises are also advisable since it can help lessen pain and promote flexibility to the tendons and muscles surrounding the joints. Moreover, you also need to undergo endurance training (e.g. swimming, walking, and cycling) to keep your heart strong and make you more energetic. Put in mind that not all exercise are applicable for people with arthritis and this includes kick boxing, jogging, and even aerobics. Thermotherapy is another great way to help lessen the RA symptoms. This pertains to the use of varied temperature to ease symptoms. It can either be warm or cold. Heat therapy and cold therapy are the two kinds of thermotherapy. The former refers to the application of heat to the affected area. This can aid in the relaxation of muscles and can minimize soreness and pain. It also helps improve blood circulation which allows the detoxification and nourishment of muscle fibers. Hot showers are great methods for the reduction of stiffness and pain. Nonetheless, if your joints are inflamed, you should not apply heat on the inflamed area. Cold therapy on the other hand is the application of cold pack on the inflamed joints to minimize swelling and pain in order to constrict blood flow and decrease inflammation. You can also minimize RA by being proactive and protective of your joints. You must protect your joints properly in order to avoid excessive stress. This can help reduce pain thus allowing you to perform tasks easily. This way you can protect your joints from further damage. You can fully protect your joints by pacing, adapting, and positioning. Pacing means that you have to alternate heavy tasks with light tasks. It is also the act of having frequent breaks or position changes in order to reduce stress on joints as well as to conserve energy. Exercise, thermotherapy, and joint protection are just some easy ways to help lessen RA symptoms. Put in mind that physical measures cannot permanently cure arthritis. Along with medical care or alternative treatments, you arthritis can be managed well. Pain is always a big hindrance for having a good rest or an adequate sleep. Conditions such as arthritis can greatly affect sleep quality and those who do not get the right amount of sleep will most likely have ill health. How does arthritis and its symptoms affect sleep either day or night? Arthritis is one of the many diseases out there that presents common problems when sleeping. These problems include waking up often times at night, struggling to sleep, waking up very early in the morning, and feeling tired after waking up. Sleeping is supposed to freshen you up but if you have arthritis you will not feel that your energy has been restored. You must put in mind that if you have a ruthless sleep pattern then you are most likely suffering from these problems. If you have sleep problems then you might be experiencing fatigue all the time and this factor alone can worsen your arthritis as well as your overall mood and concentration. Muscle tension and more pain are just some of the things you will get from lack of sleep. How can you make sleeping a wonderful experience even when you have arthritis? There are so many thing that you can do to improvise sleep. You can start by keeping track of your sleeping habits by documenting them in a diary or notebook. Try to avoiding sleeping during the day time so that you can establish a normal or regular sleep pattern. Avoid drinking coffee in the afternoon or at night and don’t drink or eat too much before sleeping. Stay away from alcohol and do not smoke (if you are a smoker) at night or during bedtime. Sometimes you might not realize it but your mattress or pillows are the culprit behind your sleep problems. Check if they are comfortable enough and I not then better change them with new and snug ones. Additionally, exercise is an important element for getting that sleep you need. It keeps your body well circulated. However, put in mind that you must not exercise three hours before sleeping. You can also take a warm and relaxing bath before heading to bed. Medications can also be answers towards getting that good rest with arthritis. NSAID or non-steroidal anti inflammatory drugs and painkillers like Paracetamol can help you minimize pain. Sedatives such as Zopiclone and Temazepam and anxiolytics like Alprazolam can provide quick and temporary sleep. Nonetheless, if you take these drugs you should take note of their side effects which are reasons why you cannot use the same medication for a long period. There are also herbal supplements that can contribute to the induction of sleep. Herbal therapy used for arthritis has become popular treatment methods because of lesser side effects and are considered as safe and effective methods. With the right therapy and medication, your arthritis can be well taken cared and your pain problems can go away. Without pain anymore, you can already have that long, quality sleep you have longed for . How to Have Beautiful Hair! Many people care a great deal about the condition of their hair and some people spend a lot of money on shampoos, conditions and treatments in order to help it look its best and to stay in the best condition. A lot of people would almost do anything to prevent further hair loss or to seek hair re-growth. Much hair loss and baldness is related to DHT or genetics; however, other factors may play a role such as hormonal problems, poor nutrition, medication, chemotherapy and thyroid disease. There are a variety of pharmaceutical products that claim to promote hair growth and prevent thinning hair and help combat the causes of the hair loss. Some, however, can cause dangerous side effects and often do not work. It is always hard to know which products are the safe ones that actually do show results and it sometimes can take a lot of researching to find the right product. Herbal treatments, however, have been used for centuries to treat the scalp and hair, and many are effective in the prevention of baldness, keeping hair looking healthy and can even help in restoring hair pigment to its original color. Ginkgo biloba - Rich in antioxidants, Ginkgo provides increased blood flow to the hair follicles in the scalp, strengthening and stimulating the hair shaft. Polygonum Multiflorum - Also known as Fo-ti or He shou wu, Polygonum multiflorum is a Chinese herb used for centuries to slow hair loss, promote new hair growth, restore hair to its original color and to slow the aging process. It is often mixed in with other herbs to create a tonic that stimulates the scalp and hair growth. Topical aromatherapy applications - Using aromatherapy mixtures topically on the scalp may help regrow hair in some cases. A mixture of essential oils including rosemary, cedarwood, lavender and thyme can be applied to the scalp to stimulate blood flow and hair growth. Reishi mushroom - Reishi mushroom, or Ganoderma lucidum is another well-known Chinese herb with many health benefits. Reishi mushroom is often combined in hair tonics along with Fo-ti and other Chinese herbs to promote hair growth and prevent balding. Find it at Chinese herbal shops where you would also buy Fo-ti. Summary – As with any pharmaceutical or non-pharmaceutical products it is always best to check that the product is safe. If you experience any side effects then you must stop taking the product immediately. It is always best to consult a medical professional if you are experiencing hair loss to ensure there is no underlying major health issues that are causing the hair loss. eye lift. All of these treatments not only can be extremely pricy but can be very dangerous! In the society we live in, many of us think the only way we can stay looking young and youthful is by going under the knife and having plastic surgery. This is no the case! You don't have to get injected to look younger, below are a list of simple tips and suggestions to help you look younger for longer. Eye Secrets instant Eye lift are small, discrete strips that you can apply to your eyes to give you that instant eye lift. Over time your eyelids will sag and this is one of the first signs of aging. By lifting your lids you can take years off your life and feel young once again! The strips are 100% natural and are easy to apply; they will even give you results in seconds and can last a full 10-12 hours! Spend time on your eyes. We mentioned before that the Eye secrets Instant Eye lift can lift your drooping eyelids. Now you have your eyelids back why not make the most of them and add a little eyeshadow? Using lighter shades like bronze or light pink can help knock years off your life and make you feel young once again. Define your brows. Your brows also help draw attention to your eyes, so make sure they have shape and look full, thick and healthy. Max out your lashes. 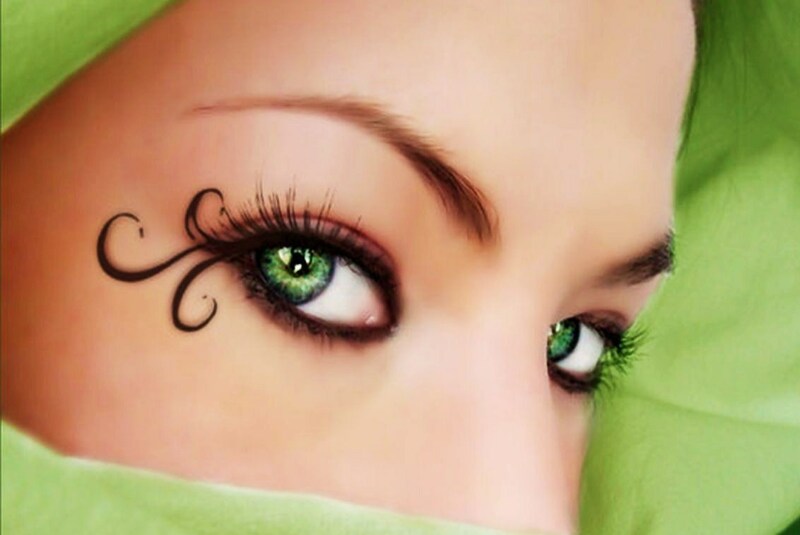 Make your lashes stand out more and use a good quality mascara. Don’t apply too much though as this can make your eyes look very dark which can have the reverse effect and make you look older. Lip liner can work miracles. If you like your lip liners, then there is no harm in still using them. However make sure they complement your eye make up. If you have used a lighter colour on your eyes then apply a darker shade on your lips and vice versa if you have used a darker shade on your eyes. Use SPF 30 in the sun. By making sure you protect your precious skin from the sun it not only prevents cancerous cells developing, but also makes skin look younger. Eat a healthy diet. Your skin reflects what you eat. There are lots of chemicals and toxins in processed foods that can make you look older. Make sure you get plenty of fresh fruit and vegetables in your daily diet, these are not only full of brilliant vitamins and minerals that your body needs but they will also keep your skin looking younger. A bob is a flattering look. When it comes to your hair a bob can be very flattering and you can have this any length. Also keep in mind that keeping hair away from your face can help you look younger. Don’t also forget that getting the right highlights can light up your face also. When people realise they are suffering from some form of hair loss, people instantly wonder what effect this will have on their appearance and whether this means they will look unattractive or older as a result. It is no wonder then that plenty of men and women will consider hair transplantation to overcome what they perceive to be an age-inappropriate appearance. People that unfortunately suffer from hair loss do not want to appear older than they, or even older than they wish to portray. This is not necessarily people being vain and many factors may affect their decision to take such a step. Reasons for people to get a hair transplant to avoid age-inappropriate appearance can be personal, work-related, or a combination of both. In both personal and work environments, age-inappropriate appearance can substantially influence one's self-regard, self-esteem, interpersonal and work-related relationships. A person’s age is objectively measured in years, however a person’s appearance can lead to people making assumptions as to how old they may be. Most people who are encountered in the workplace or in social environments probably do not know your calendar age unless you revealed it to them, but they quickly make judgments regarding your appearance of age. Along with their assessment of your apparent age as seen through their eyes, they may make some judgments regarding what may be called age-related values. Believing that people may be making these assumptions have a dramatic impact on us and the way we feel. Believing that people may deem us to look older or less attractive can cause us to have lower self-esteem and in some cases can cause us to withdraw into ourselves. The emotional aspects of living with hair loss can be challenging. Discovery of hair loss is a stressful experience for both sexes, but substantially more distressing for women. Physical beauty is one of the cornerstones of self-esteem and it is one of the most vulnerable. The self-esteem levels and other measures of self-worth drop significantly when hair loss occurs. Hair is an important determinant of physical attractiveness and a mean of expressing individuality. Hair loss affects the individual’s feelings of attractiveness. For balding women it is especially hard to live in a society that places great value on youthful appearance and attractiveness. Some people make assumptions that they are losing something about their control of their life, things they really can not reverse when they start losing their hair. Correcting hair loss may not be merely a matter of halting loss of hair or replacing lost hair. Well-planned and long-term management of hair loss requires professional attention such as that offered by a physician or hair restoration specialist. Famous actor with Hair Vokse - can you guess who it is? Men and women experience hair loss for similar reasons. Men, unfortunately, experience a more dramatic, specific pattern of hair loss commonly termed "Male Pattern Baldness." This loss is caused by dihydrotestosterone (DHT). DHT is a hormone linked with testosterone. DHT binds to receptor sites on the scalp and hair follicles, interacting and interrupting the normal chain of events involved in continual healthy hair growth. Woman, experience many hormonal changes throughout their lives which can lead to hair loss. In general, women may lose hair after a pregnancy, or during menopause. But it is not limited to just these. Any number of hormonal imbalances can trigger hair loss in women. Hormonal changes in both men and women can cause hair loss by directly affecting the cells responsible for hair growth or by affecting the level of nutrients and blood flow to the follicle. The hair follicle cannot maintain a healthy growth cycle without proper nutrients and may eventually fall out and die. Stress affects the hormone balance and it will transmit signals to the hair follicles. The hair follicles then undergo a resting stage. Usually it occurs 3 months after the stressful event has occured and it may take 3 months after the stress period has ended for the hair growth to resume. If the stress continues or is repeated the onset of genetic hair loss may worsen existing hair loss. A series of other factors can cause hair loss, including diets, the use of certain bodybuilding supplements, and environmental factors. Chemicals used for dying, tinting, bleaching, straightening or perms can cause hair to become damaged and break off if they are overused or used incorrectly. Also using excessive heat either by use of your normal hairdryer, straightners or curling tongs can lead to hair thinning. Overstating and excessive brushing also can cause hair to fall out if the hair shaft becomes damaged. SUMMARY: As you can see there are many factors that can cause hair loss in both men and women but they all have one underlying theme in common, hair follicles that are affected by hormonal "clogging" agents and poor blood and nutrient circulation are less likely to experience a healthy growth cycle. Arthritis is a disease that has affected and is currently affecting millions of people all over the globe. Mutation has given rise to over a hundred different kinds of arthritis. In order to fully understand this disease it can be divided into two major types according to causes and effects. These types are inflammatory arthritis and degenerative arthritis. Inflammatory arthritis occurs when joint lining or synovium become inflames. Degenerative arthritis on the other hand is caused by cartilage breakdown. Both types produce similar signs and symptoms typically comprised of pain and hindrance while doing physical activities. Each of these types branch out into different subtypes of arthritis. One of the most popular types is Rheumatoid arthritis. Rheumatoid arthritis starts slowly in some joints of the body. Once it has begun it slowly spreads to the other joints in weeks or months. The good news is that it rarely starts overnight. The bad news is that as time passes by it involves more joints on all sides of the body following a symmetrical pattern. For example, if you have swollen left hand joints then eventually your right hand joints will soon be affected too. What are the key signs and symptoms of Rheumatoid Arthritis? Every person with arthritis experienced different symptoms. Some patients only experience mild inflammation or only have lesser joints involved. There are other though who have a lot of joints affected and are totally inflamed. Some of its symptoms vary according to its flare. There are times when joints feel generally good while there are also times when, for no apparent reason, they stiffen and become sore and swollen. This is what is known as an arthritis flare. Put in mind that rheumatoid arthritis typically begins over weeks or months slowly affecting all joints through time. This is already an obvious warning sign. When such symptom is experienced and lasts for two weeks or more, it is already an indication to see the doctor as soon as possible. Other warning signs of arthritis include unusual pain, weight loss, fatigue, easily gets tired, and morning pain. Unusual joint pain is already an early indication of arthritis. Joint stiffness that already demonstrates pain is a clear sign. It is ideal to locate new stiffness and pain in unusual areas such as the ball of the foot and hand knuckles. Morning pain is another warning sign. If joint pain worsens during the morning and lasts for thirty to sixty minutes before loosening up then this is already a sign of the disease. Nonetheless, this stiffness and pain can cause discomfort day and night. Persons with arthritis easily get tired and are fatigued all the time. Once arthritis begins, a weak feeling begins and can lead to weight loss. For others, the onset of the diseases is accompanied with low grade fever. Here are 5 quick tips you can use in your daily life to help your skin look and feel younger for longer. Many people will spend their hard-earned money (and life savings) on often painful, not risk-free cosmetic surgery involving needles and expensive procedures to get younger-looking skin. But there are simpler alternatives for you to erase years off your appearance without having to undergo painful surgery and just by making a few simple changes. These tips will help you maintain smooth and toned skin year after year. By consuming lots of refined sugars, this triggers a process called glycation which causes sugar molecules to attach themselves to proteins. Although this may not seem like a problem, this results in harmful new proteins forming called "AGEs" (advanced glycation end-products) that cause harm to all cells in our bodies. Refined sugars also make our collagen proteins more rigid. By having rigid collagen cells in our skin this reduces elasticity that our skin cells need to stay supple and younger looking. By lacking collagen, wrinkles and creases will begin to form on your outer skin. Although this might sound strange, sleeping on your back actually helps you to avoid wrinkles. Those of us that sleep on our sides put unnecessary pressure on our facial skin and can cause it to crease and wrinkle. Back-sleepers wake up, are able to look in the mirror and see a crease and line-free face in the morning. This is because there is no pillow pushing up against their skin all night. Sleeping on your back can also prevent "cleavage wrinkles" in women. Whilst we are sleeping, this is the time our bodies produce human growth hormone (HGH). 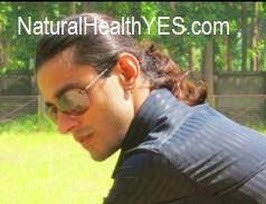 HGH is responsible for the majority of our youthful characteristics. 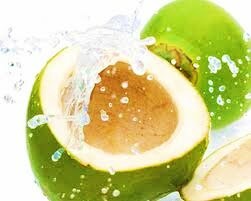 It helps keep skin smooth and supple, our hair soft, and our energy levels high. We produce this important hormone more whilst we are asleep and even more during the deeper stages of our sleep cycle. This unfortunately means, if our sleep is interrupted, we won't produce as much of this important hormone as it should. A good night's sleep also gives more energy to back up the appearance of greater vitality and also improves our skin's colour and tone. Try and exfoliate as often as you can as this helps to increase cell turnover. This put simply means that new cells in your skin are continuously brought to the surface which results in a smoother and more radiant appearance since dead cells dull our skin. Exfoliation also has a positive effect on collagen production and cellulite prevention. Sunlight is a vicious thing, our skin needs to produce vitamin D however if we have too much of it or are unprotected when it is on us then this can result in sun damage. Excessive sunlight exposure can cause age spots, accelerate wrinkle and fine line development and compromise firmness and elasticity in our skin. This is due to the free radicals that excessive sun exposure creates. These types of molecules roam the body and destroy or damage healthy skin cells. This accelerates our aging process. When choosing your sunscreen make sure you avoid any sun-block with vitamin A derivatives such as "retinol" or "retinyl palmitate" as both accelerate tumour growth and promote cancerous cell growth when they are exposed to the sun!! Although we have highlighted and spoke about various tips to help keep our skin looking younger we cannot fight the fact that aging does happen and wrinkles will eventually show. So what do we do when this happens and what can we do to prevent these wrinkles being visible? One option is to under go expensive cosmetic surgery, OR there are products on the market that target collagen-growth and in addition, only cost a fraction of the surgical price (- also a much safer choice!). Eye Secrets have developed a product called the Collagen and Q10 patch that works to increase your collagen levels and leaves your eyes and skin looking smoother and tighter. Eye Secrets collagen and Q10 patches get to work in just 15 minutes and reduces the appearance of under eye wrinkles, those nasty, black circles under your eyes and the general puffiness of your skin. In addition to this it can reduce dry skin and leave your skin feeling smooth and tight once again! 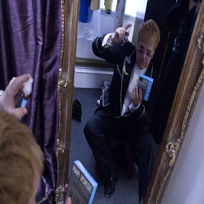 In each package you will receive 5 applications (10 gel eye patches). The patches should be applied underneath your eyes for 15-20 minutes. Whilst they are placed on your face the patches get hard to work and intensely moisturise, nourish and hydrate your skin. This increases elasticity and help your skin to look and feel rejuvenated, vibrant and smooth. The hydrating formula also helps relieve puffiness and dark circles under the eyes.